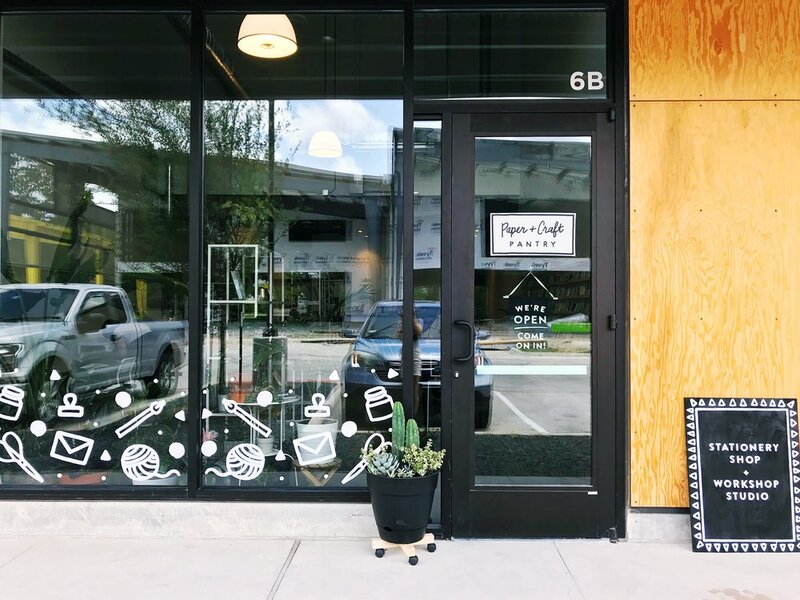 The Paper + Craft Pantry is a stationery retailer and workshop studio located in Austin, TX, founded in 2015. We are a woman owned, small, local business with a growing social reach, and are committed to creating a space for our community both in person and online. A people person - you enjoy meeting new guests in the shop + connecting with workshop students. Dependable - Always there, on time, rain or shine! Hard working - You work through tasks ahead of time, take initiative, and are eager to take on new challenges. A team player - You know when to ask for help and are always ready to lend support to others. Resourceful - You know how to problem solve, when to ask questions and when to Google. Have creative skills - From photo editing to lettering, you have your own unique skill sets to bring to the team. We are interested in hearing what makes you one of a kind! Please thoroughly review the available position(s) below and email a cover letter, one page PDF resume, and current availability to hello(at)thepapercraftpantry(dot)com with the subject line of your preferred position. Only qualified candidates will be contacted for an interview. We look forward to meeting you! The Paper + Craft Pantry is looking for a part-time Studio Retail Assistant to help with all things in our brick & mortar including events and workshops. This is a part-time, entry level role. You are an extrovert by nature, love connecting with people and have a passion for stationery! You enjoy working and chatting with guests, love to build genuine relationships, excel in stationery knowledge, and have an interest in helping us build community engagement through our small business. You take initiative, you can manage multiple tasks at once, and know how to put a customer/guest’s needs first. The Paper + Craft Pantry is looking for a part-time Studio + Admin Assistant. This is a part-time, entry level role to join our team with potential to grow! You are an extrovert who enjoys building genuine relationships and feels confident connecting with guests. You take initiative, work with a sense of urgency, you can manage multiple tasks at once, and are incredibly detail-oriented. You find joy with putting systems into place or elevating existing systems. You’re are an open communicator and love receiving feedback as much as you feel comfortable sharing feedback with our team. You are interested in growing your role and capacity within our team!